Within a few months, Kelly knew she had found her calling. A short time later, she became the store manager and the former owner approached her to take over the business when she was ready to retire. 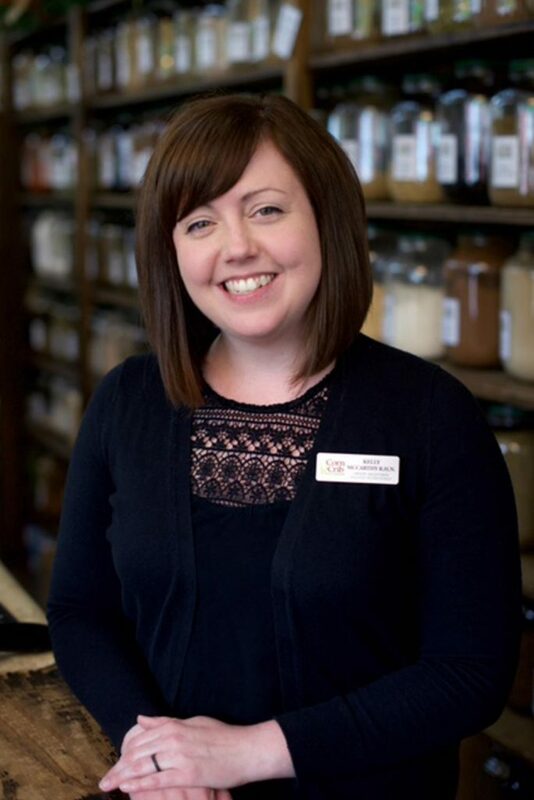 Before Kelly took over ownership of Corn Crib Natural Foods, she began work on solidifying its future. She spearheaded the opening of the Saint John uptown location in September of 2012 and renovated and doubled the size of the Moncton store in April 2013 — before taking over ownership in November 2013. With the help of staff, The Corn Crib has also tripled its product offerings, bringing in more fresh, frozen, bulk, and prepared foods — many from local suppliers. Since taking over ownership, Kelly was approached by the owner of Bien être Gallie Wellness in Dieppe to carry supplements for her health and wellness centre and in May of 2016, the Dieppe location of Corn Crib Natural Foods was opened.